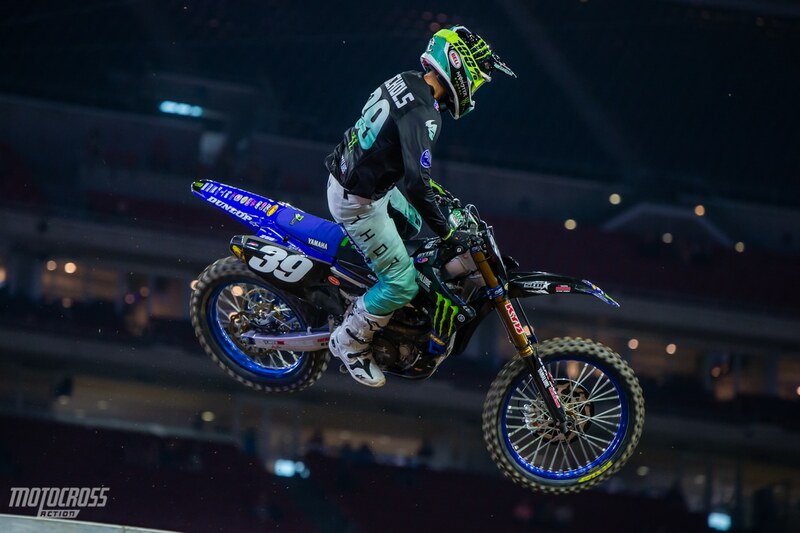 With his win in Houston, Cooper Webb has extended his championship lead to 17 points over Marvin Musquin. 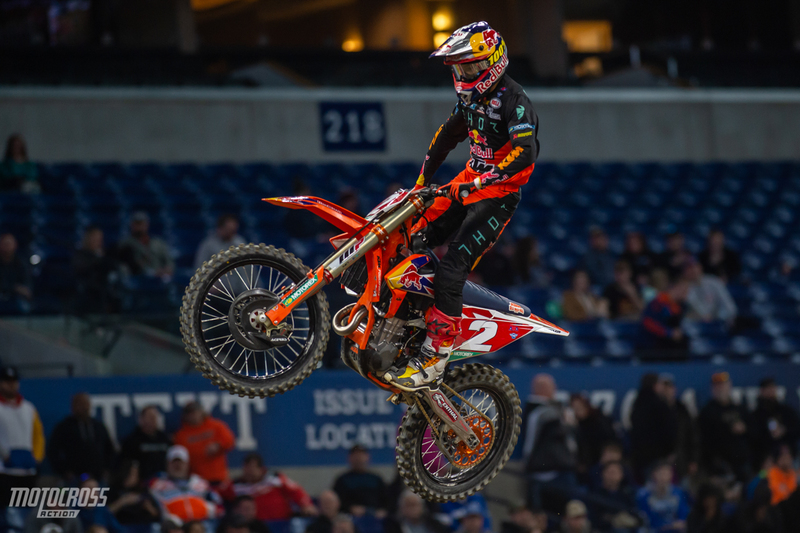 After another exciting and hard fought night of racing, Cooper Webb has grabbed his sixth win of the 2019 Monster Energy Supercross season and he extended his points lead to 17 over his teammate Marvin Musquin. 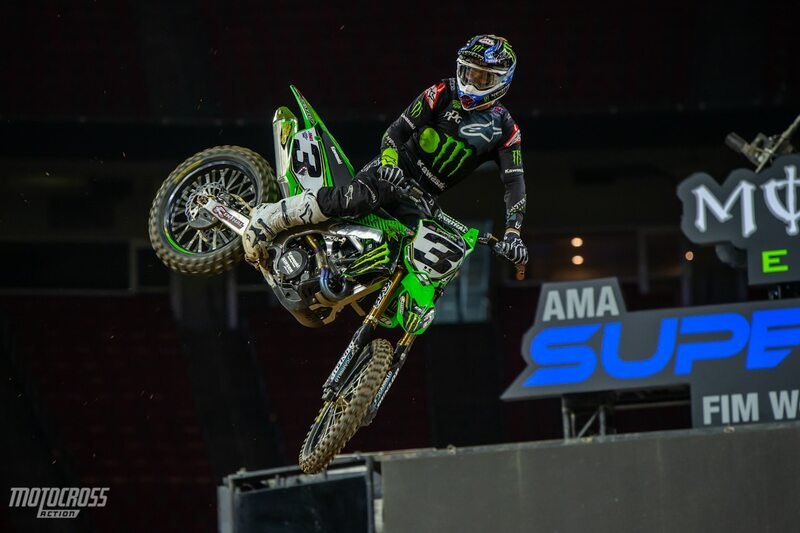 The 2019 Houston Supercross was the final Triple Crown event of the season and it proved to be another intense night of racing for the fans. Ken Roczen was looking good as he easily won the first 450 main event, but unfortunately a crash on the start in 450 main event 2 put Ken out for the race, he came back for main event 3 and was able to salvage an eight place. Marvin Musquin was looking fast and after making an aggressive move on his teammate Cooper Webb, things got interesting! For the first time this season, we’ve seen the teammates ride aggressive with each other and it ended with Cooper pushing Marvin off of the track. In the third main event, Marvin was able to rebound and win, but Cooper’s third place was enough for him to win the overall for the night and put three more points in between he and Marvin in the championship. 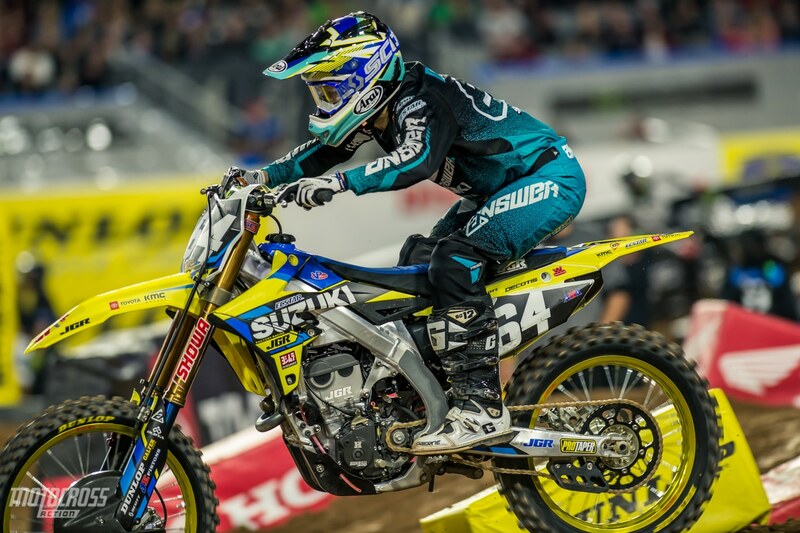 With four rounds to go, Cooper Webb is the guy to beat in the 450 Supercross Championship. Marvin Musquin has been trying his hardest, but so far he hasn’t been able to make a dent in Cooper Webb’s championship run. Eli Tomac is 26 points behind Cooper Webb in the Championship now. 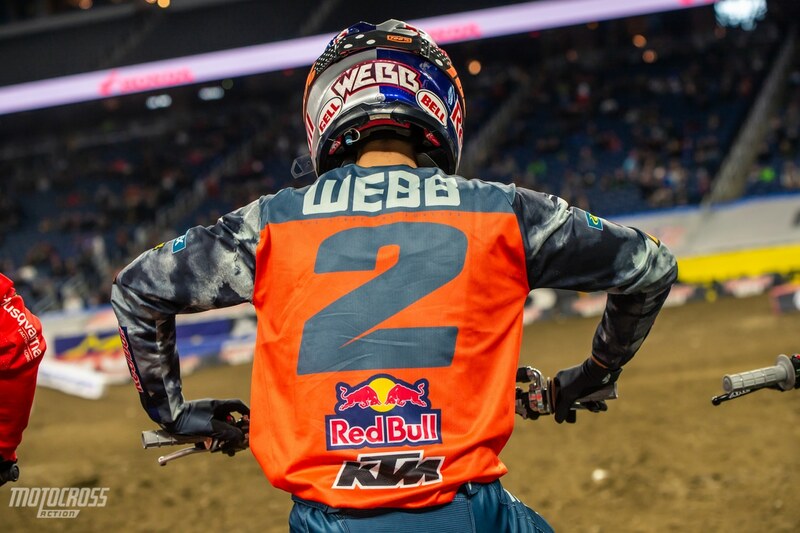 It’s going to take a big mistake from Webb for Tomac to make up the difference. 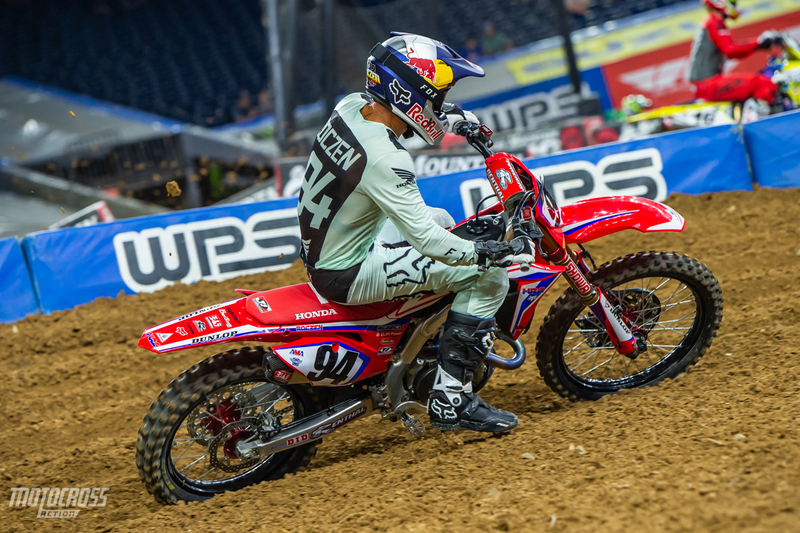 Unfortunately Ken Roczen’s rough night in Houston has dropped him back 36 points behind Cooper Webb in the 450 point standings. The points chase is heating up in the 250 class! 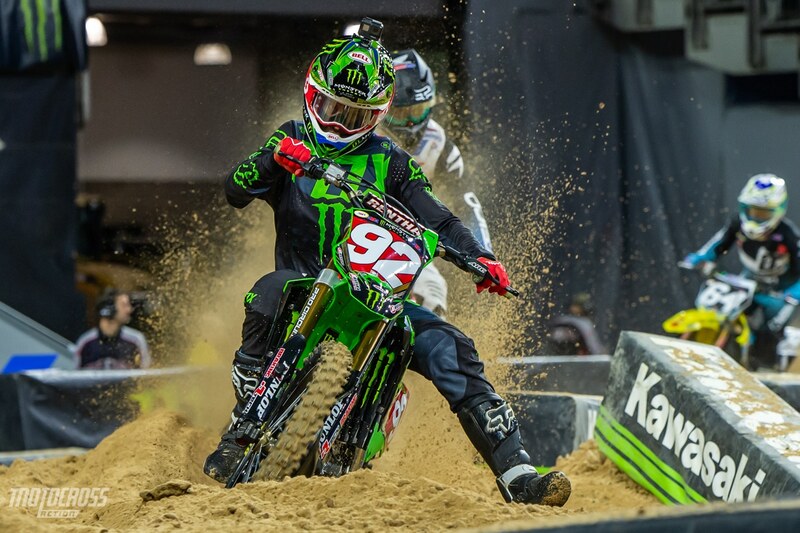 Adam Cianciarulo’s fourth place overall in Houston has let Dylan Ferrandis close up to be within 5 points behind Adam. 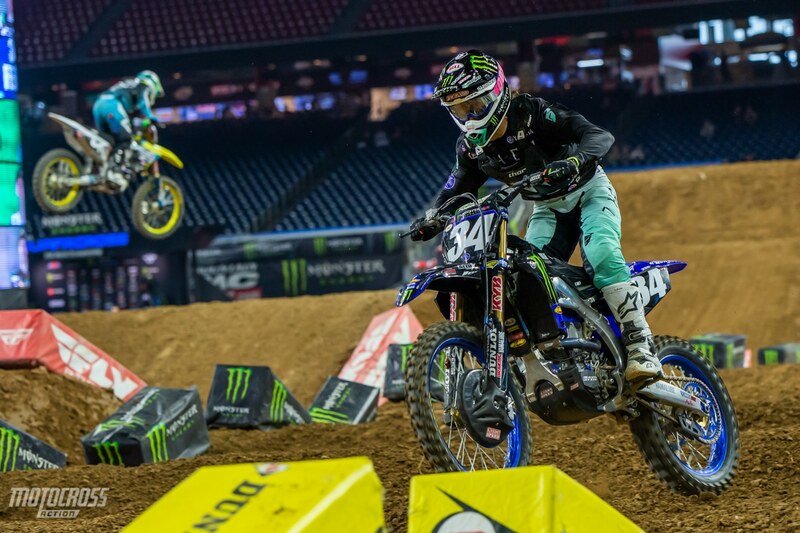 After winning his second Supercross ever in Houston, Dylan Ferrandis stated that he was glad to win. But he also said that he won’t be fully satisfied until he wins the Championship. 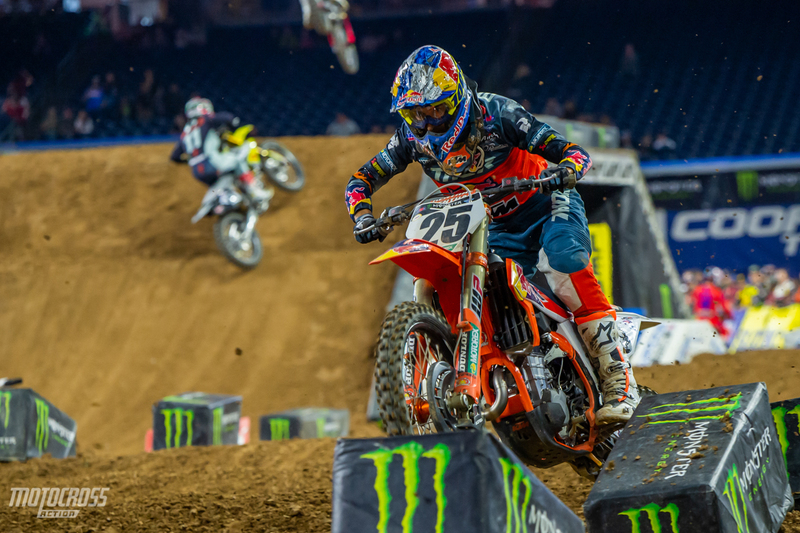 Colt Nichols rebounded from his crash in Seattle to finish third in Houston, but the 40-point gap to his teammate has just about ruined his title hopes for 2019. Jimmy Decotis sits sixth in the 250 West points while Chris Blose, Cameron McAdoo and Michael Mosiman are all hot on his heels within two points of him in the Championship.